Danish-born American automotive designer Henrik Fisker is best known for designing luxury cars such the BMW Z8, the Aston Martin DB9, and the Aston Martin V8 Vantage. 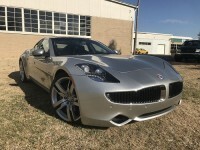 The Fisker Karma began production in July 2011 as the world’s first luxury Plug-in Hybrid-Electric Vehicle. American LaFrance (ALF), the company that built the pumping apparatus on this 1971 Ford F750, had a long and storied history. ALF was known for its innovative and distinctive equipment designs, most notably the cab-forward style utilized on many fire trucks today. While a young man, Henry Ford took a job with the Edison Illuminating Company in Detroit, Michigan. 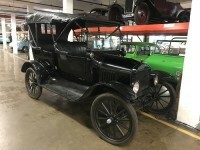 While serving as Edison’s chief engineer, Ford began building his first car. Like other car makers of his day, he had no ready-made components with which to work. The first examples of this model, in 1950, had a wooden frame with alloy panels; the next step was an all-steel body. 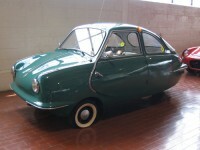 By 1957, the body was fiberglass, giving the Fuldamobil a more handsome appearance. Introduced at the Turin Motor Show in 1972, the Fiat 126 or “Bambino” was a direct replacement for the aging Nuova 500. This fresh but somewhat bland design resembled a scaled-down Fiat 127, but used the tried-and-true Nuova 500 drivetrain under the creased modern envelope. Sorry, no description at this time. The Syrena was first shown to the Polish public in 1955 at the Poznan Trade Fair. Production of the Syrena started in 1957, and continued to 1960 when the updated model was introduced. 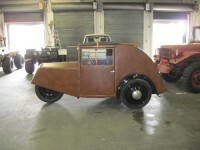 The first appearance of the Irat name was in 1914 but there is no record of car production until 1921. 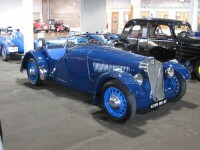 Building on the front-drive theme of their successful 6CV, Irat based the sporty 11CV on the driveline of Citroën’s 11CV, a two-liter saloon. 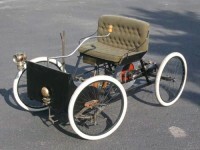 The first appearance of the Irat name was in 1914 but there is no record of car production until 1921. Apart from the bodies, the whole of the car was made at the factory in France. The Frua-designed 1300 and 1700 Coupe and Cabriolet were halo vehicles for Glas. Even though Glas was one of Germany’s smallest automakers, the GT series were very influential, marrying Italian design and German engineering in a marketable, successful package for arguably the first time. 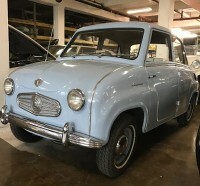 Bill Buckle of Sydney, Australia, was a distributor of the German Goggomobil in the late 1950s. In an effort to get away from the punishing import taxes imposed by Australia, he found it cheaper to import the chassis and then build his own fiberglass body. Hans Glas and his son Andreas began producing scooters in their agricultural repair shop in Germany shortly after World War II. Their first product, the Goggo scooter, named for Hans’ youngest son, was an instant success as it met a demand for low-cost vehicles in the economically depressed country. Hansa was founded in 1905 to build light cars. The company merged with Lloyd in 1914 and built commercial vehicles. Carl Borgward became involved with cars and commercial vehicles in the 1920s and merged with Hansa-Lloyd in 1929. 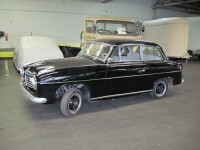 Considering that Borgward, parent company of Goliath-Werke, was a pretty small player on the global automotive scene, the Goliath GP900e was quite an influential automobile, setting in place much of the design vocabulary seen to this day. 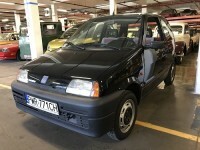 The Pionier is a 3-wheeled economy vehicle that was designed for the German market. It’s robust, yet light, because of its wood frame body covered by a synthetic fabric.